The perfect family home & a great investment opportunity! This opportunity stands out from the rest as it is located in the highly-desired Oatlands Estate sitting in a corner block with land size 645m2 (approx.). This 20-year-old property is brimming with features. 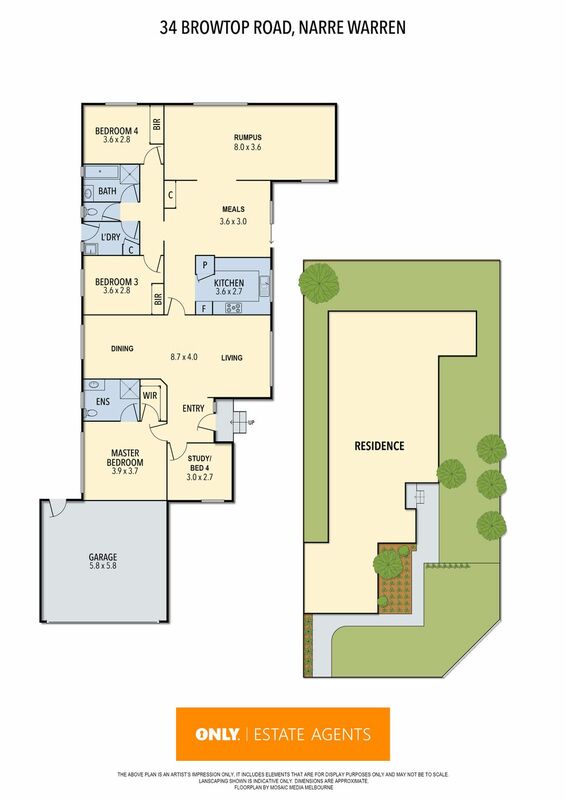 Offering a great floor plan that allows for easy living, the home consists of four spacious bedrooms, two bathrooms and a double lock up garage. •	Large light and bright kitchen with stainless steel appliances and plenty of storage space. •	Two living areas, including a front lounge room, family meals area. •	Centrally located main bathroom with separate toilet. •	Central ducted cooling & two wall heaters. •	900mm Appliances, Dishwasher, Oven. •	Remote controlled double car garage with side access. •	Laundry with external access. •	Good Sized back yard for the kids to playground. •	Rental Reward $1651 per Month. Walking distance to Oatlands Primary School, Parkhill Shopping Centre, medical centre, banks, food and retail outlets. Short drive to Westfield Fountain Gate Shopping Centre , Bunji Place; Gym ;Narre Warren Train Station, Casey Hospital, M1 Freeway and Princes Hwy. Don’t miss a rare opportunity to secure a brilliant family home set on a great land size.